I thought this was kind of funny. 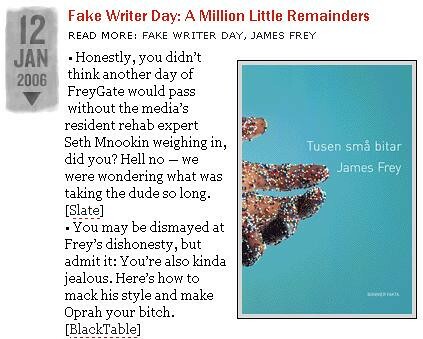 Gawker writes about the James Frey controversy and illustrates the article with the book cover – in Swedish! The file seems to be taken from here (http://www.bonnierfakta.se/bilder/nyheter/nyheter_frey.gif), considering its name.